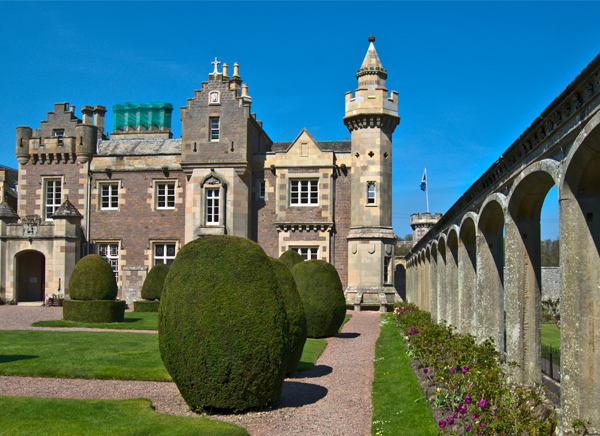 Abbotsford House is a historic country house, formerly the residence of Sir Walter Scott who developed this magnificent property having originally purchased it as a farmhouse. The decor is both extravagant and exudes opulence. 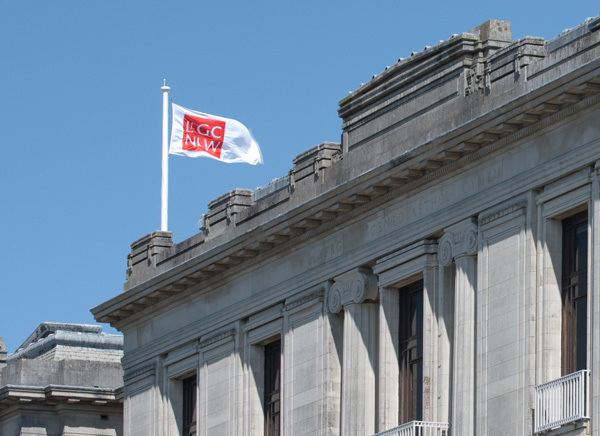 The complex fabric of the building and its historical importance provided a challenging backdrop to design and install an effective fire safety system. Due to the delicate nature of transcripts and finishes in the Scott Rooms, comprehensive discussions were held with Historic Scotland to ensure that the nature of the fire protection provided would be effective, and importantly, in keeping with the nature of the house. In these rooms, low pressure water mist was proposed enable a firefighting capability from a significantly reduced quantity of water. The potential damage to precious artefacts would be minimised as a direct result of this fire strategy. In all other areas within the building, a residential sprinkler system was installed in accordance with BS 9251:2005 using concealed heads. The Roslin Institute is a Biotechnology and Biological Sciences Research Council (BBSRC) National Institute. 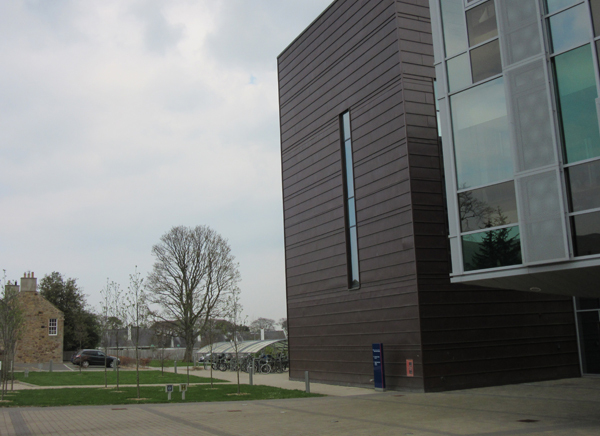 In March 2011, the Roslin Institute moved to a new £60 million state-of-the-art building located on the University of Edinburgh’s Easter Bush campus. Vipond were called in to provide proposals for protecting the computer server rooms on the Ground Floor and Level Three of the new building. These facilities are dependent on secure computer services and if these services were interrupted due to an outbreak of fire the direct consequences could be immeasurable. Within the new building two computer server rooms would be built, one on the ground floor and the other on level three. These would demand automatic fixed firefighting systems which would not interfere with the data processing if a fire occurred. Due to the nature of the electronic areas to be protected, a high hazard design concentration would be required in accordance with BS EN15004. An IG-55 gaseous fire suppression system was selected for each room. IG-555 is an equal blend of Nitrogen and Argon, both naturally occurring gases, ensuring that this system has essentially no effect on the environment. Fairview Court is a 1960’s twelve storey tower block and Pentan Partnership’s first project for Cwmbran based Bron Afon Community Housing. The principle objective of the project was to completely refurbish to modern-day thermal standards with eco-friendly enhancements and an upgrade to the fire protection measures. 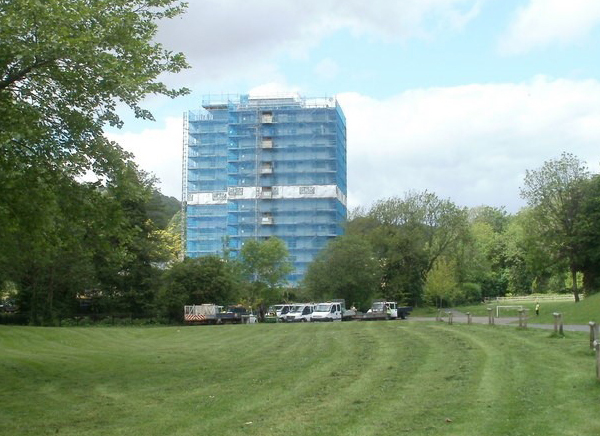 The block is one of the first high rise projects to benefit from the Welsh Assembly’s decision to install fire sprinklers in refurbished residential buildings. It was decided that at each floor level, the main pipe feed would be split into two – one to serve the flats and the other to serve the common areas. Lowered suspended ceilings were provided to conceal services such as the fire sprinkler pipework. Careful planning of pipe routes within the flats was a key consideration and pipework in each apartment was mounted tightly along the hallway and kitchen walls. This was painted to blend with the surrounding decor. Vipond have extensive experience of working in many building types and providing solutions that are appealing to customers. 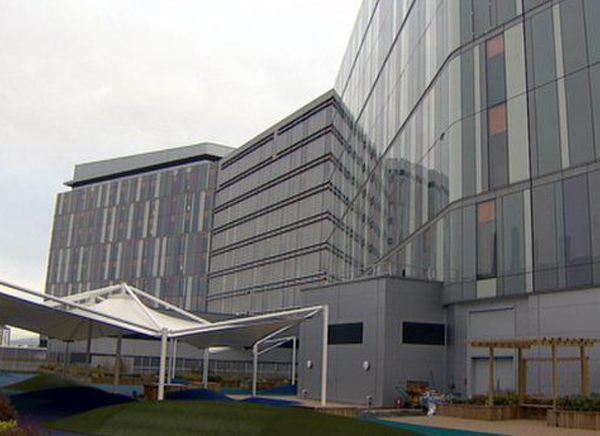 The new South Glasgow University Hospital opened in May 2015. The 14 floor multiplex has over 1100 adult beds and in excess of 250 beds in the children’s hospital plus state-of-the-art Critical Care, Theatre and Diagnostic Services, 29 theatres and a dedicated helicopter landing pad. Both the Adult and the Children’s hospital each have a computer room. Failure of the equipment in the rooms following a fire could be catastrophic thus they required a comprehensive and sensitive detection and suppression system. With outline system features established, the decision to use a gas suppression system was finalised. Cost savings in consequential losses made by using clean agent systems would be substantial. The decision now fell to a choice between a halocarbon system such as FM-200® or an Inert gas system. Halocarbon systems are stored as liquids but discharge from the nozzles as a vapour in the same way as Inert gases but the halocarbon systems offer more compact storage for the cylinders and consequently have a smaller storage footprint thus FM-200® was the customer’s system of choice. The National Library of Wales is a listed library in Aberystwyth. The internal atrium was infilled to create an archive store, the structure of which was a steel frame with concrete floors and block work walls across six levels. The items in storage were of a sensitive nature that would result in huge losses both financially and culturally should it be subject to a fire. Storage would have been paper based literature that would be valuable to the foundation of the library’s history and finances. Fire protection for the area would need to be a system that would limit damage not only from fire, but from the fire protection system itself. 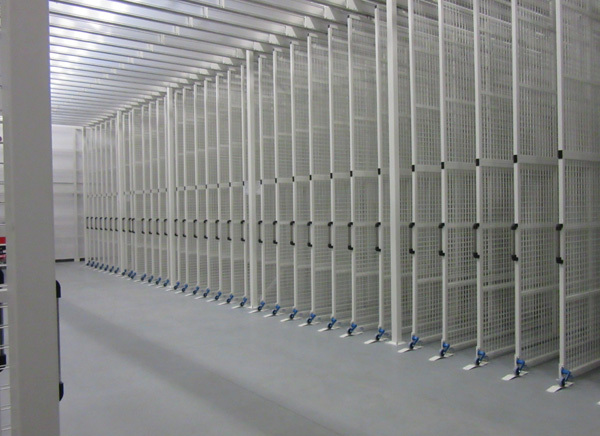 Vipond fire protection provided a bespoke solution that would meet the customers above referenced needs. An Inergen (IG-541) inert gas suppression system was provided. This was a centralised bank of gas suppression cylinders stored on the ground floor which fed, through a selective valve piping network, to each of the six floors. Our design team took time to engineer a solution that would limit storage footprint of cylinders but ensure the efficiency of the system was not compromised, which allowed the system to be zoned per floor via each selector valve. 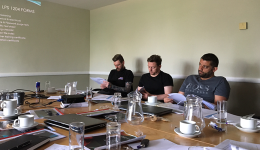 The installation period took place of a period of circa 6-8 weeks including commissioning and installation of the associated detection system that would automatically actuate the gas system on confirmed receipt of a signal showing a fire. The new Museums Collections Centre has been built in one of Aberdeen’s regeneration areas and will house publicly-owned works of art which are not normally on display in other galleries. Rather than just build a new storage facility the council wanted to create a venue where historical objects and artworks, not on display in other galleries, will continue to be seen by the community. Protecting sensitive works of art from fire needs careful consideration. A clean fire suppression agent which has a high safety factor and a compact storage footprint in a building already crammed with other building services was needed. Other requirements were approved fire equipment and a third party certificated fire company for design installation and commissioning of the gas suppression systems. With global warming an issue, an important consideration in the decision process was the environment. Sapphire Suppression Systems were proposed for the Centre. 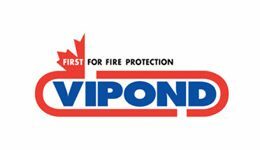 Vipond Fire Protection Ltd has its roots going back to 1969, when it was started as a small family owned business. In 1998 it was acquired by Vipond Inc of Canada. The company has since expanded and grown and now has 5 offices covering the whole of the UK and Ireland. Vipond Fire Protection Ltd is ultimately owned by Api Group Inc.
© 2015 Vipond Fire Protection Ltd – UK. All rights reserved. Vipond Fire Protection Ltd – UK is a subsidiary of API Group Inc.